With our city tours we wanted to create easy and comfortable way for travelers to get to know most important locations of the city of Belgrade. 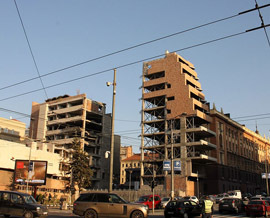 For some Belgrade is small, for others it’s huge, depending on prospective. 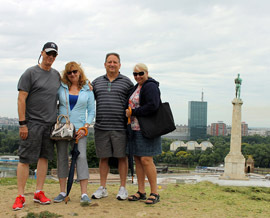 Nevertheless, our tours are combination of driving around the city and walking through its main points. 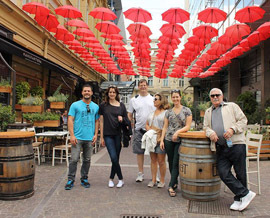 This makes those tours suitable for everybody who wants to get good overview and learn basics from city’s distant and modern history and all that from a private guide who was born and raised in Belgrade. Each city tour has detailed description, followed by photos from the actual tours. You’ll find all information related to what you can expect to experience during the tour and also tour price and inclusions/exclusions. At the end, if you decide to book the tour you can do that through our online reservation system, or you can call us to Phone/Viber/WhatsApp using the number provided on the tour page.